The historic landscape area of Fairwood Park and Golf Course encompasses the extent of Fairwood Estate and golf course. Situated between Fairwood and Clyne Commons, this area was formerly agricultural land within the wider agricultural landscape of Bishopston parish principally comprising the estate of Fairwood Lodge and Killay Farm but also Killay Fach and Derllwyn noted on the tithe map (1846). The field system at the time consisted of semi-regular fields probably derived from amalgamation of a medieval strip field system, remnants of which are visible on the tithe map. Fairwood Lodge was most probably built by William Jernegan c.1827 for John Nicholas Lucas of Stouthall. The tithe map shows a projection to the garden front, possibly a veranda that was subsequently removed. The original service range on the north side was rebuilt in the late nineteenth century, possibly when the front was extended by two additional bays. Fairwood lodge has been converted into hostel type accommodation for hospital patients. Killay Farm is now known as Faaram Court and operates as a kennels. It appears the present building is an extension of that shown on the tithe map, however, the extent to which original structures survive is unknown. The first edition 25-inch OS map shows the area much as on the tithe with the exception of Derllwyn. The area was nearly completely relandscaped in the second half of the twentieth century; the main surviving features are the woodland and water features. 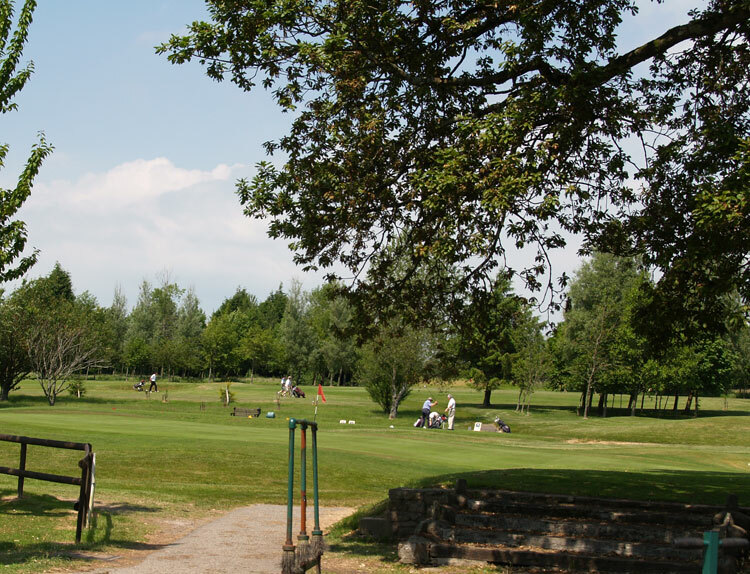 Fairwood Golf Club opened in 1968, comprising a 6,658 yard course and has twice hosted the Welsh PGA Championships. A new clubhouse was built in the area as well as a caravan park.